You don't need Superman's x-ray vision to see through Batman. All you need is this incredible Batman 4D XXRAY 9 1/2-Inch Vinyl Figure! 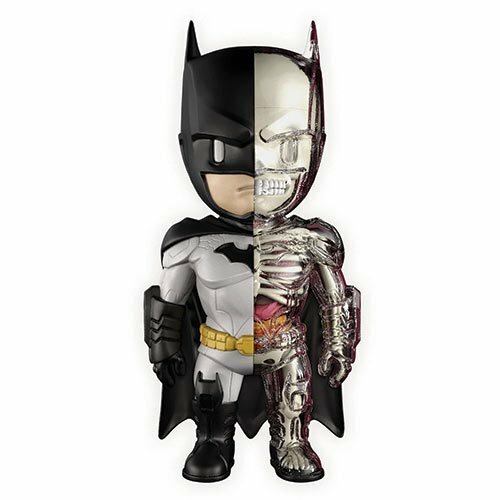 In this unique dissection from artist Jason Freeny and Mighty Jaxx, the Dark Knight's "inner workings and hidden mechanisms" are open for all the world to see in intricate hand-painted detail. Add something truly unique to your collection, and pair him with the Joker 4D XXRAY 9 1/2-Inch Vinyl Figure (sold separately) for even more fun! Ages 8 and up.